We apply the same discerning eye to our selection of photo frames. Available to purchase online or in store, our variety of artful frames will complement any decor style. Unlike most mass market stores, our photo frames incorporate archival materials and UV glass that take better care of your treasured art and photos over the years. 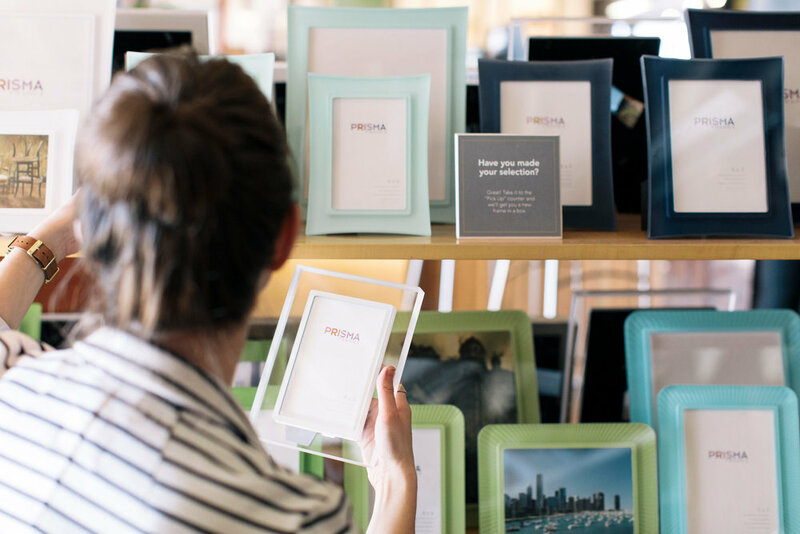 Just like our custom frame selection, our photo frames have a little bit of something for everyone. From reclaimed woods and colorful acrylics to sophisticated metallics and intricate designs, you won't find a larger selection of quality photo frames at all price points in one place. This isn't drugstore photo printing. Our state-of-the art Epson printer creates high-quality archival prints with true-to-life colors on your choice of paper. You'll get instant gratification being able to print + frame as many pieces as your heart desires on the spot. Questions? Contact us or visit either of our locations to see our handcrafted photo frames for yourself.